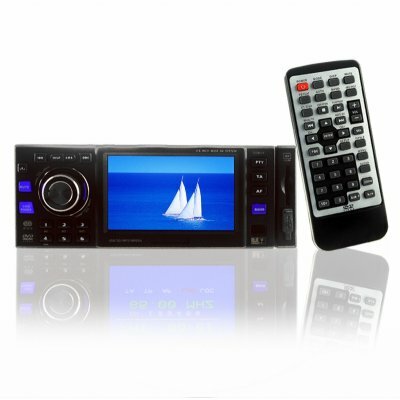 Successfully Added Car DVD Player +RDS Radio - 3.6in Screen - SD + USB Slot to your Shopping Cart. Wholesale car DVD player with RDS radio and comes with SD/MMC card reader and a USB port for directly playing digital media. This car DVD player comes features a high quality 3.6 inch TFT LCD monitor and a multi language OSD for use worldwide. There are also 1 video input, 3 video outputs along with 2 audio inputs, a analog TV tuner, and a detachable front panel for added security whenever you are not in the car. Super low wholesale price along with no MOQ make this an item perfect for personal use or for high profit resale..